What does this mean? Put simply, God gave the Law (the stone) to the Jews. It was to be a guide for them, in order to find right living. 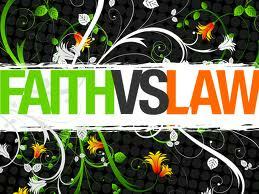 But instead of keeping faith in God, they made the Law into an idol and put their faith on it. Rather the Law is meant to help us realize our sin. Paul writes in his letter to the Galatians, “If the law could give us new life, we could be made right with God by obeying it. But the Scriptures declare that we are all prisoners of sin, so we receive God’s promise of freedom only by believing in Jesus Christ.” (Galatians 3:21-22 NLT). So again Paul gives us the idea that Christ is life, but Law is death. So, we as Gentiles have an advantage over our Jewish brothers and sisters, not a disadvantage. It was believed by the Jewish in the early days after Christ, that the Gentiles needed to become more Jewish in order to receive God’s blessing of His Son. However, as Gentiles we were never slave to the Law, instead we have only ever had faith; and that is Paul’s claim. It is only by faith that we are saved. Believing in Christ is the only way we can be saved. No Law, or any amount of things we do could help us enter into heaven. That’s the point. God has done it all. He has made a way. He has opened the door for each one of us. All we have to do is walk through and go down the path. One of the main topics Paul discusses throughout his letter to the Romans is about the Law. This Law is not only made up of the Ten Commandments, but in total contains 613 different laws that every Jew was to obey. This law was upheld by the Pharisees, and was a constant theological battleground for Jesus. After the founding of the Church, Gentile Christians were constantly told by Jewish Christians that they must adhere to the Law of Moses (aka the Pharisees’ laws). This is so wide spread that Paul talks about it in many of his letters to other churches. But in Romans it is most certainly a main topic. In the previous chapter Paul spoke about the law, and how God is the only judge. In this chapter Paul raises his argument against those that say Christians must follow the old Law. Paul’s response is that we must have faith, it is faith that saves us. He will go on to talk about it in later chapters, so we will stick with Romans 3 today. This chapter contains one of the most important verse in the Bible, and is a center point of our faith, “For everyone has sinned; we all fall short of God’s glorious standard. Yet God, with undeserved kindness, declares that we are righteous. He did this through Christ Jesus when he freed us from the penalty for our sins.” (3:23-24 NLT). The point that Jesus was trying to make during his ministry is that God is loving, and the Law is what condemns us. When we put our faith in the Law, and do our best to keep it, we will die. 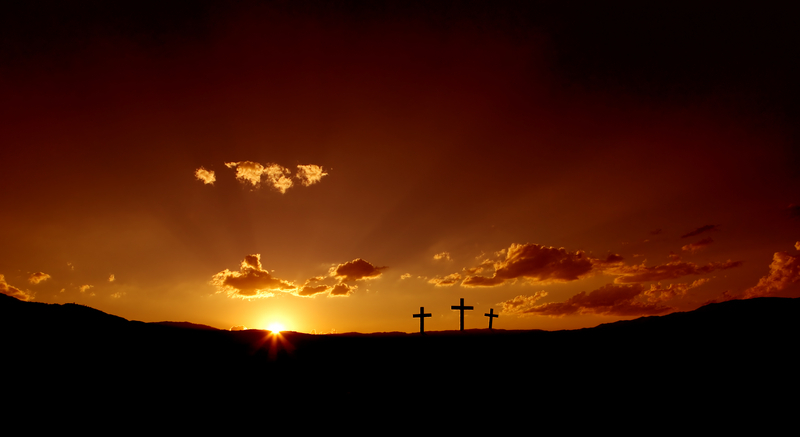 But Christ paid the penalty of our sins for us, so that we may have life. So Paul’s point becomes that the Law kills us, but putting our faith in Jesus, we live. Paul finishes this chapter with the statement, “only when we have faith do we truly fulfill the law” (3:31 NLT). So I ask the question, is it better to have faith in Jesus, or be worried about living a good and perfect life? To be honest friends, I’d take faith any day of the week! Jesus is the only person to have lived a sinless life, and he is the only one capable of such a feat. So why try? However, we should still strive to do what God has asked of us. It is impossible for us to be perfect, we are imperfect, broken creatures that have an enormously sinful nature. Our sinful nature is something we cannot overcome. Fight it as much as we can, we will still sin. But thank God for grace! Grace is what allows you and I to be saved and forgiven, despite our sins. However, this doesn’t give us the freedom to sin as we please. By our faith in Christ, we are changed to be compelled not to sin. The problem arises when people forget that it is in our very nature to sin, we can’t help it, and God knows it. So where are we at today, friends? You and I have all sinned. We continue to sin, despite our urge to not sin because of our fallen nature. But as we grow in our faith, and get closer in our relationship with God, we start to sin less and less. It will never stop, but we do get better at not sinning. So don’t lose hope. Just because you fall doesn’t make you a bad Christian. It simply makes you human, and God loves you anyway.